For the third instalment of the Intermediatheque Natural History Series, we are holding a special exhibition presenting the scientific equipment coming from the former Fourth Higher School (current Kanazawa University). [Support] SHIMADZU CORPORATION + Hakuto Co., Ltd. It is recently that a new tendency has emerged, which reevaluates the equipment produced by scientific research activity from an aesthetic, artistic or historical perspective. In developed Western countries, science museums were established at an early stage for the conservation of scientific and technical heritage. Nonetheless, that the 16th International Congress of the History of Science held in Bucharest (Romania) in 1981 still had to reaffirm the necessity of conserving modern heritage, points to the fact that the value of historical scientific heritage is not yet fully recognized. In Japan, this is still the case today. The scientific equipment coming from the former Fourth Higher School (current Kanazawa University) and conserved both by the Kanazawa University Museum and the Ishikawa Prefectural Museum of Natural History, constitutes one of Japan’s most important collections. However, it was not given yet the opportunity to be recognized as such. From this collection, we have thoroughly selected fifty items that stand out from a formal point of view, in order to reexamine with the present exhibition their value as design objects. The present exhibition aims at drawing the public’s attention to the strange formal beauty of scientific equipment. These items, conceived with a scientific and educational aim, are essentially purposive objects. Nonetheless, for many of them, it is not quite easy to understand the intention behind their conception. In such a case, we can take the opportunity to reconsider them from a materialistic standpoint, without an excessive attachment to theories and doctrines. Thus reconsidered, scientific equipment will surely stimulate the viewer’s imagination, in the same manner as artworks. These items will have a new, independent life as meticulously crafted things. 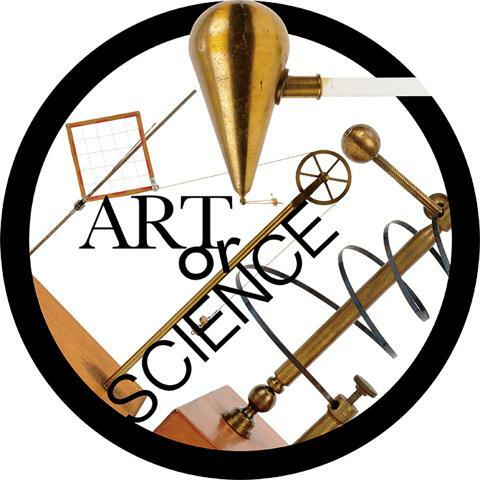 We hope that the present exhibition will free us from the strict alternative between Art or Science, and offer a freer approach to things, rooted in Art and Science.